Putin visited Budapest six months ago in February and he is in Hungary again! 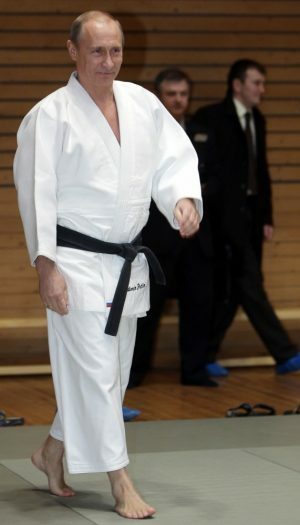 A judo fan since his childhood Putin even wrote a book about the sport with his old friend and training partner Arkady Rotenberg who is now a wealthy Russian oligarch. Mr. Rotenberg’s companies have made billions of dollars from state contracts; he also will be in Budapest. Putin is admired by Hungary’s current leaders. Hungary is probably the only EU and NATO member today where Putin is a desired guest. Mr. Orbán not only admires the Russian President, but he himself is often called “little Putin” in the media. Although Hungary approved the EU sanctions imposed on Russia for its actions in Ukraine, Mr. Orbán never misses an opportunity to criticize “the Brussel’s bureaucrats” for imposing them. Sounds confusing? Not if you are a Hungarian! Authoritarian Orbán has built his entire career on doubletalk, contradictory and often gibberish statements peppered with nationalist rhetoric. Neighboring Romania is not as cozy with Russia. A couple of weeks ago it denied access to its airspace for a Russian flight that was headed to Chisinau, Moldova, with Russia’s deputy prime minister, Dmitry Rogozin on board. The plane had to divert and request an emergency landing in Belarus. Hungarian people are not happy either. In February thousands marched opposing Putin’s visit and new demonstrations are planned. And early Monday morning, just ahead of the current Putin visit, activists from Momentum sarcastically changed street signs in Budapest, back to their pre-1989 Soviet names, to make the Russian president and former KGB operative “feel more at home” in the Hungarian capital. 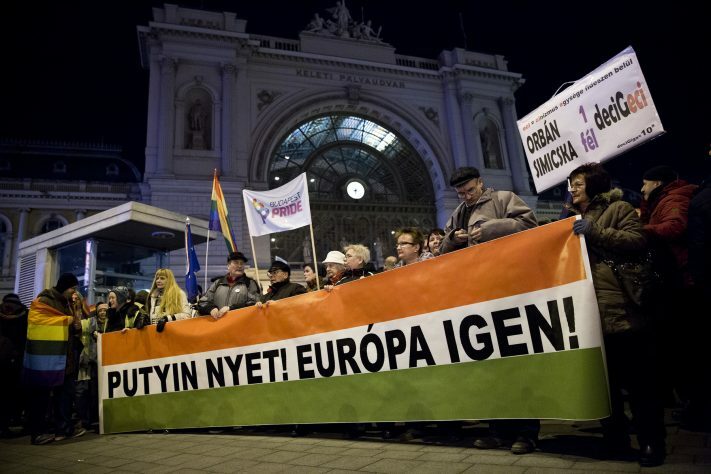 Hungarians also oppose the multibillion-Euro contract awarded to Russia to expand the Paks Nuclear Power Plant. Many suspect corruption. Thousands demonstrated in Budapest against Putin’s visit in February. Under Orbán’s leadership Hungary ha become a corrupt rouge nation and a “weak link” in the NATO alliance. For example Hungary and Serbia will hold bilateral military exercises on Serbian territory soon. The Ministers of Defense of the two countries also plan close military cooperation. Serbia is not a NATO member and maintains close military ties to Russia. Most Canadians and Americans of Hungarian origin oppose Hungary’s uncomfortably close ties with Putin and fear that Mr. Orbán’s policy will cement Hungary’s place in the Russian sphere of influence. Many also think that Hungary is Putin’s Trojan’s Horse into the EU to break up the alliance from within. We call on all North American delegates (Canadian and US) to skip the upcoming Diaspora Council Meeting scheduled on November 8-9 in Budapest. The Diaspora Council is financed by the Orbán Government and serves as an indirect (and possibly illegal) lobbying tool for Budapest. Participation in the work of the Diaspora Council would be an endorsement of Hungary’s pro-Putin policies. Putin No – NATO yes. Hungarian Canadians and Hungarian Americans reject what Mr. Putin stands for. I don’t think Orban admires Putin, or anyone for that matter, this is not his personality. Note his grando-maniac dreams of being a leading figure in the EU, the delusion of his own importance, the 180 sq.m office, the manical desire to move to the the Buda Hill, his regular cermons about the trends of history the world, etc. Add Orban’s life long Russofobia, including his typically rude and provocative statements in th face of Russian diplomats. Why all this was dropped and Orban turned 180 deg from one day to the other after visiting Moscow in 2008 on Putin’s invitation ? Why did he took this big political risk? What for? either by accepting large bribes promised in the Paks project, or by accepting bribes earlier, e.g. the alleged Mogilevich cash or both ( the stick and carrot option). This means that Putin has Orban/Hungary by the b…s, sorry, in his sphere of influence. I personally find these rusophobic statements to be extremely absurd, to say the least. It seems that every time a former communist country so much as dares to even do limited business with Russia or tries to have cordial relations, we end up with this hysteria being pushed in order to destroy any chance of those cordial relations taking root. I say, enough is enough of this! Germany does plenty of business with Russia, to its own economic advantage. I say Hungary needs to do the exact same. Hey, is this not what liberalism is supposed to be? Being open minded toward all? Especially for the benefit of his own countrymen? Just why turn everything into a spiteful meanness? A national leader has to do things he personally may not like to meet and please other leaders regardless of his personal feelings. Besides, this is judo championship? I suppose hate has no limits. Guys, please, don’t embarrass yourself – are you really clamoring for liberalism, open mindedness, cordial relationship? .. while Orban is selling and robbing the nation, and with the help of Finkelstein, Bayer, Habony and co has been drowning the country in hatred and prejudice. Away from Europe towards Orbanistan. I’m sorry, but you absolutely do not speak for Hungarian-Americans and Hungarian-Canadians. Most Hungarian Canadians are grateful that their grandparents are able to afford gas and heat thanks in large part to the Russian energy and loans. This needs to be addressed, because otherwise you miss a huge part of the picture and turn this into Putin-Orban bromance. Hungary needs Russia. There is no way for it to isolate Russia without also severly damaging itself economically because of cheap energy. People who don’t understand won’t understand this, and those who do understand can understand that Hungary’s ties with Russia are beneficial. Unless of course you want western prices for gas on Hungarian wages. It’s crazy, but there are people willing to put average Hungarian lives and standards at risks for their own geopolitical battles. It isn’t fair for ordinary people. Most Hungarians are happy to have good relations with Russia. Its not all about economics, and there is principle too. Hungary is being able o have ties with all and that is Hungary’s right. Of course Hungary still follows it’s obligations to NATO. There is no question about that, especially when you look at Hungarian servicemen and women fighting in wars on behalf of NATO the country had no reason to be involved in. – Hu has a more expensive fuel than Slovakia, Cz, equal Austria, more exp electricity than France, US, etc. on 1/3 of the their incomes. – Hungarian lives and standards are crippled by 27% VAT and 49% redistribution. – Hu doesn’t meet NATO obligations – it spends only 0.8% GDP on defense instead of 2%. – Most Hungarians hated the Russians, as the Orban, Bayer, etc. tirades prove. “The prices of natural gas dropped by half since 2014, and crude oil can be purchased 50-60% cheaper, while the Hun consumers have been paying the same price for more than three years now”. So much for the propaganda games of the regime. Dear Observer, perhaps you should observe the facts! Hungary already does 80% of its trade with the rest of the EU. I guess, if it were up to you, it would have to become 100%, in other words 100% reliance on the EU, which would give the EU 100% control over Hungary. Hungary should by all means do business with Russia, and the ME, and with China and everyone else that Germany and other EU members already do business with. Hungary’s interests come first! All that other garbage about Orban robbing Hungary and so on, is a different topic. But a good indication in that regard is the 2002-2010 period in terms of debt/GDP and GDP growth, versus 2010-2017. In 2002 the Socialists took over a perfectly good economy and turned it into the first recipient of IMF aid. Deficits averaged about 7%/year during that period, with economic growth stagnant. In 2010 Orban took a broken economy and stabilized it, returned it to growth, with manageable deficits under 3%/year every year since 2012. So who robbed Hungary? Not robbed, but robbing, actually has been robbing for six years – Simicska/Meszaros aka Orban, Garancsi, Vajna, etc. The s.c. Orban mafia has embezzled 1.2% of GDP or 900 billion Ft in 2014-15, if we take the conservative Transparency Itnl report of 20% “overpricing” in the EU funded cases, but the total figure is more likely over 1200 billion or 2% GDP since there is no gov or local gov project without a kickback. Perhaps Orban is the world champion in corruption for 2014 and 2015, the Russians know more, by all signs. On one hand the Orbán government says the they urgently want to reduce energy dependence on Russia, on the other hand they sign a secret contract to build a new nuclear power plant using Russian technology. Hungary’s oil, gas and nuclear are all dependent on Russia. Neighboring Romania has nuclear power and they don’t use Russian technology… I wonder why? Orban positions the country so when the EU kicks out Hungary it can join the Russian sphere of interest; in the meantime there is a great opportunity to divert million$ for the Orban mafia from the Euro 12 billion loan that will impoverish Hungary for decades. The Paks project will probably cost more than 10 000 billion Ft. (currently gov estimates of 4-5 000, costs of spent rods storage and of dismounting old reactors excluded). The current gov debt is at least 25 000 bil. i.g. it will increase by 40% with the consequences of higher DCS and lower credit ratings. The produced energy is likely to be too expensive to sell – the eventual subsidies (not allowed at present) or idle plant will strain the budget to the point of bankruptcy. Is Orban pushing H down the wrong road? If cold fusion turns industrial H will turn belly up. Hun what??? Where is this strange country? Dear Lazar. You should be aware that similarly to Hungary’s expansion plans, Romania was looking to do the same thing and it failed miserably. They had a bid, a consortium came together, they could not secure the financing. Things have changed dramatically since 2008 in the business & investment world. Hungary was in fact lucky to get this pre-financed deal. And Hungary does need this expansion in my view, because it needs to replace its dependence on natural gas, which given events in Ukraine, no longer very secure. Yes Hungary is over-dependent on Russia for energy, but not much practical choice in the matter. If you would truly care about Hungary and its future, you would put Hungarian interests before your globalist and ideological inclinations. 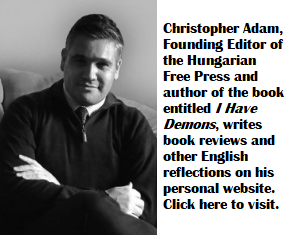 You would suport what is good for Hungary, as I do, regardless whether left-right, globalist-patriot. I was happy when the socialists secured the Daimler investment. The origins of “most Hungarian Canadians”, I guess spring from those who fled from Mr Orban`s Russian allies in 1956? And most “grandparents” living in Hungary will have a great memory of those generous Russians in 1945 when the Red Army raped and plundered across Hungary.